First pottery of the dig! Our home for the next two weeks arrives! After a belated delay due to vandalism, our security cabin and loo finally arrives. For practical delivery reasons the cabin is some 800 metres from the excavations, volunteers in need of the facilities please note. The cabin can be seen at the entrance to Newsham Grange Farm. Please be aware the farm is a working arable farm in the middle of the harvest, the grain store is adjacent to our cabin, and all the hardstanding is used as a turning circle and loading area for a succession of 30 tonne grain lorries, arriving and departing throughout the day. 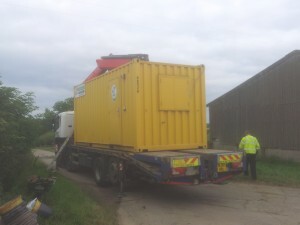 Drivers must park well before the farm entrance on the grass verges etc and walk upto the cabin, please bear in mind that these lorries are wide, as are the tractors, trailers and combines that may use the road, so park as far onto the verge as possible. We are guests on Brians farm at his busiest time of the year, please try to avoid inconveniencing him, his workers and contractors. Excavation day approaches for Mid Tees amateur archaeology. Amateur archaeology has a long and honourable tradition in archaeological research, yet despite its history, in recent decades the term amateur within the archaeological community, has deliberately been devalued from honourable unpaid endeavour, to a derogatory meaning of low quality. The change happened in parallel with the professionalism of archaeology some 30 years ago, and the intervening years have been a perpetual rearguard action to maintain our independence of spirit, mind and action. 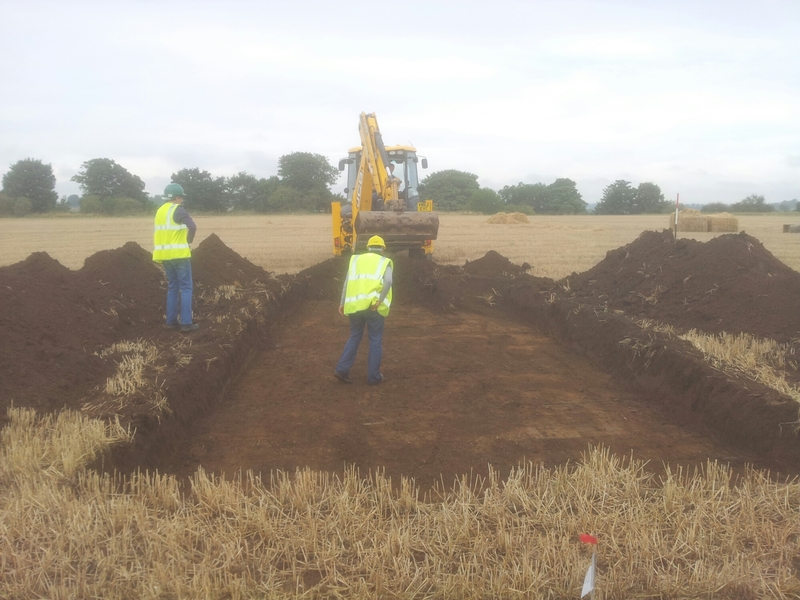 Many reclassified themselves as independent archaeologists, and professional archaeology created their own new label of community archaeology and community archaeologist, to provide supervised investigation of mundane sites of little research value whilst handily giving paid employment to professional supervisors. Many of us, the intransigent, the stroppy, the boneheaded have held out, defended our amateur status and it honourable tradition by continuing to carry out out original research seeking new explanations, free of the closed mind of the herd mentality of the archaeological community, with the intention of taking the sum of our knowledge forward in a positive and valued way. in November 2013 I attended a day conference at York celebrating 150 Years Of Roman Yorkshire, held by the Yorkshire Archaeological Society. In his summing up Professor Martin MIllet made a striking statement, he said that effectively the money has run out for archaeology, local archaeological units are closing, universities are scaling back, developer funding is drying up, and that the baton will have to be handed back to the local societies. Those pesky amateurs will have to get their act together again, because it seems nobody else can or will. 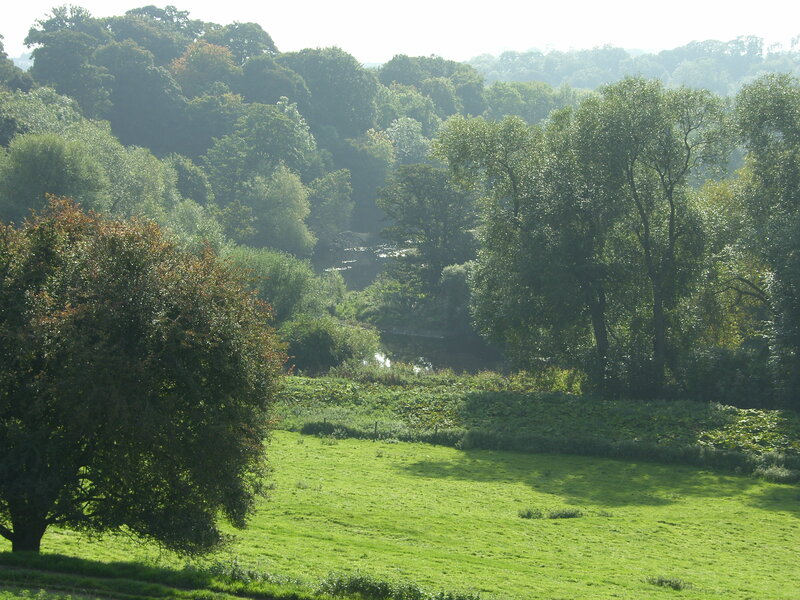 On the 13th December 2014, I gave a talk at Thornton le Street as part of a series of talks promoting current and proposed research into the Roman Roads of North Yorkshire. My talk was the last in the first series of four which had all been well attended. My talk to my surprise got over 70 people paying to attend, suggesting the potential for amateur archaeological endeavour in North Yorkshire is waiting to be tapped. The talks were organised by John Sheehan, well known to the archaeological community in the region, and who has been leading a proposal to carry out investigations into potential Roman archaeology along the alignment of Cades Road ( Margary 80a), on its route through the Thirsk/ Northallerton area. This section on the blog will include potted bio’s of our project management and specialists. It is also a call to arms! Are you are looking for an interesting multi-period site that fits your research plans, currently unknown to archaeology. Do you embrace our ethos? Are you unencumbered by establishment group think? If you fit these criteria, and have archaeological skills or specialisms you are prepared to offer to the project freely and willingly in return, then it is time you gave us a call. Whether you are an amateur ‘ dabbling about’ on weekends, an undergrad or post-grad irritated at the lack of opportunity to work on new sites, or even a professional earning a crust from archaeology, then this this project offers you all a major opportunity to make a statement in archaeology. That is of course if you are prepared to put the time in. The Mid Tees Research Project is an amateur research project set up to reflect the lessons learnt in the 1990’s with its predecessor the Mid Tees Project. The earlier project organically developed using the traditional hierarchial structure common to archaeology, with a single project leader driving the project, his project. Unfortunately as the leader of the original project work took me away from archaeology and the active fieldwork group sadly dispersed. It’s legacy of course was a group of former members who went on to work and develop their skills on sites throughout the region during the intervening years, some of whom were the first people I approached to come on board the Mid Tees Research Project. When returning to archaeology, I was determined that a key element of the project was avoiding the fragile hierarchial structure that had failed in the past when one individual moved on. I therefore made an early decision to establish the project, and the major site at the heart of it as a co-operative project. I then willingly handed over my years of research to a core group of like minded amateurs, with the intention that the research could be used to take forward ideas independently, whilst allowing me to continue to focus on my own area of specialisms, all under the umbrella of the project.